Recent release “Love Triangle” from Page Publishing author Ila Wilkes is a page-turner romance novel about Cami’s complicated love life as she has to choose between Anthony, a handsome twenty-year-old dorm adviser who comforts her upon the absence of her best friend in private school, and Ethan who has been in love with her for a long time. 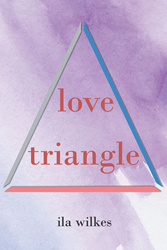 Ila Wilkes, a preschool teacher for the past twenty years, has completed her new book “Love Triangle”: an exciting work of fiction about a young girl’s quest in love and the difficulty of not having any idea how to handle a love triangle and how to choose between two guys. Published by New York City-based Page Publishing, Ila Wilkes’s engrossing book is not just about a typical teenage romance, but it also depicts life in school through Cami’s experiences as a student. It is not an easy life phase, and the people surrounding her can either help her or make things worse. Readers who wish to experience this enthralling work can purchase“Love Triangle” at bookstores everywhere, or online at the Apple iTunes store, Amazon, Google Play, Kobo or Barnes and Noble.